As co-founder of Carlisle Academy, Sarah is involved in all aspects of managing the Academy, from organizational oversight and curriculum development to fiscal and strategic planning. In her instructional time, Sarah enjoys coaching para-equestrians, pony clubbers, adaptive students and recreational riders. She has been in the field of equine-assisted therapy for 22 years and is a PATH, Intl. Advanced Riding Instructor as well as a PATH, Intl. Mentor. In the early 90’s, Sarah benefitted from working at the National Center for Equine-Facilitated Therapy in Woodside, California under the tutelage of the late Barbara Heine, early visionary and founder of the American Hippotherapy Association. Sarah first became certified as a therapeutic riding instructor in 1995 during a three-year management term at the Sagebrush Equine Training Center for the Handicapped in Hailey, ID. While in Idaho, she also became a working student for Connected Riding Founder, Peggy Cummings. Prior to Carlisle Academy, Sarah was the Group Team Leader of Corporate Communications at Tom’s of Maine, managing the team involved in brand identity, legal regulations, marketing and corporate giving. Past work experience also includes donor stewardship, grant writing, and non-profit management. 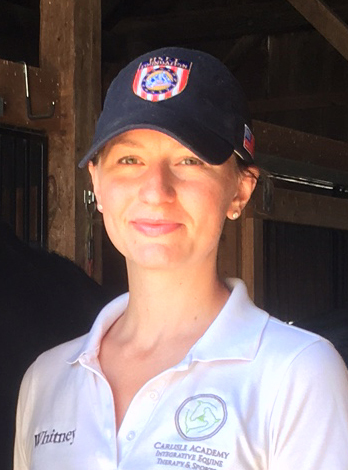 Currently Sarah serves as the Chair of the York County Committee of the Maine Community Foundation, is an active member of the United States Equestrian Federation Para-Equestrian Sports Committee, and sits on the National Advisory Council of the United States Equestrian Team Foundation. Sarah graduated Phi Beta Kappa from Trinity College in Hartford, CT with a B.A in Religion. Nick has a professional background in small business and supply chain administration, materials sourcing, sales, land and livestock management. Over the course of his career, Nickhas managed four small businesses for others, and two of his own, throughout start-up phase to maturity. He holds a BA in English from Washington College, Chestertown, Maryland, where he went to play lacrosse but studied Romantic Poets instead. 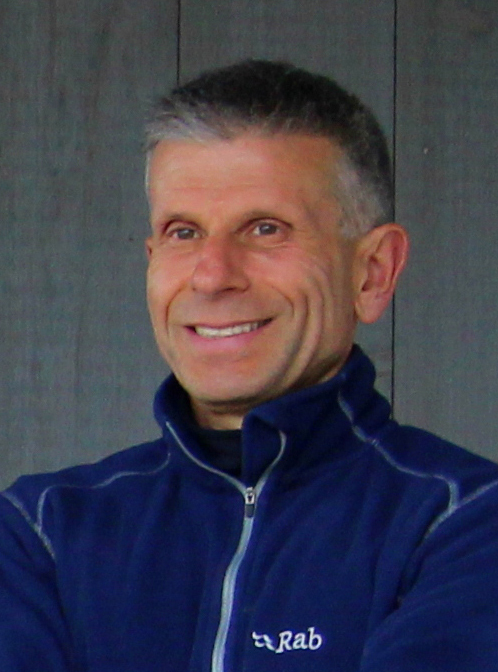 He is University of Maine Master Gardener, and a Saltwater Institute Values-Centered Leadership graduate. Nick has spent most of his adult years engaged with animal agriculture and organic farming. Initially ranching in Wyoming, Montana, and Idaho, he then returned home to start Spring Creek Farm with Sarah in 1998. Nick manages Spring Creek Farm, an organic horse, sheep, hay and grain farm that also serves as the host facility for Carlisle Academy Integrative Equine Therapy & Sports. 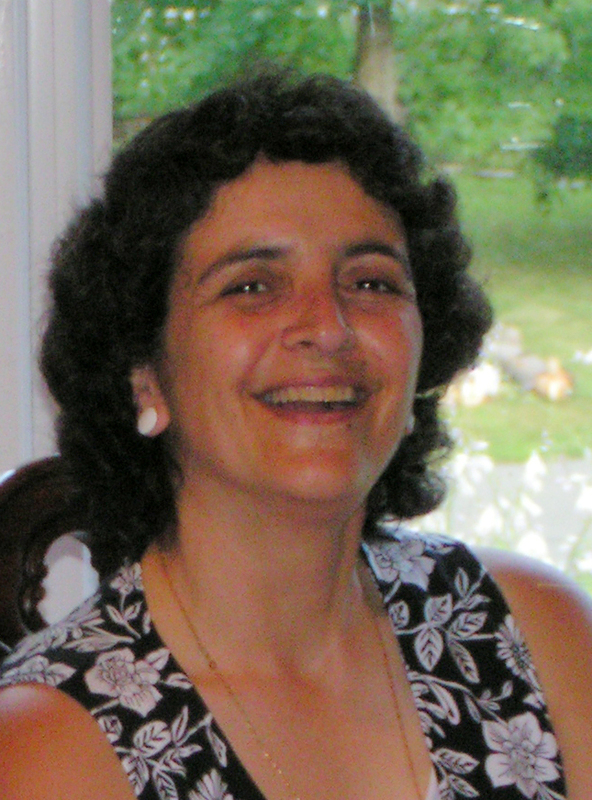 Irene began her 33 year financial career in the advertising world after graduating from the University of Massachusetts/Amherst, in the print and promotional fields. In advertising, Irene created, executed and reported the financial aspects of all promotional campaigns. After a few years, Irene moved into the manufacturing industry to learn computers, and worked as an Assistant to the CPA and Computer Manager. While raising a family, Irene volunteered in her children’s schools through fundraising efforts, helping children with computers, math, and teaching the children to run their school store. Irene returned to the working world by being an Assistant for a Controller; running a Computer Lab for an Elementary School; and finally being an Accountant for a General Contractor’s small business. From here, Irene began her own business as a Bookkeeper in 2009, and met up with Carlisle Academy in 2011 as its Financial Director. Ally is an overall equine enthusiast, having been raised on a horse farm in Vermont where she first learned to ride and participated in 4-H. After interning at Carlisle Academy, Ally joined the staff as a horse handler, PATH Instructor, and Pony Club Instructor. Ally is a recent graduate of the Therapeutic Recreation Program at the University of Southern Maine, with her specialist’s certification pending. She has a strong foundation in equine therapy, and looks forward to furthering her education in adaptive and para-equestrian sports. Whitney has been working with and around horses her entire life. As a young rider she learned the ropes as a working student on the Massachusetts hunter/jumper/equitation scene. Later, while at the University of Maine in Orono, she learned of her heart’s true desire: to incorporate her love of horses and her yearning to give back to those less fortunate. When Whitney is not teaching, she is coordinating Carlisle’s 50 plus apprentices in a variety of helpful ways in the program. Janet joined Carlisle Academy as a physical therapist in 2011. 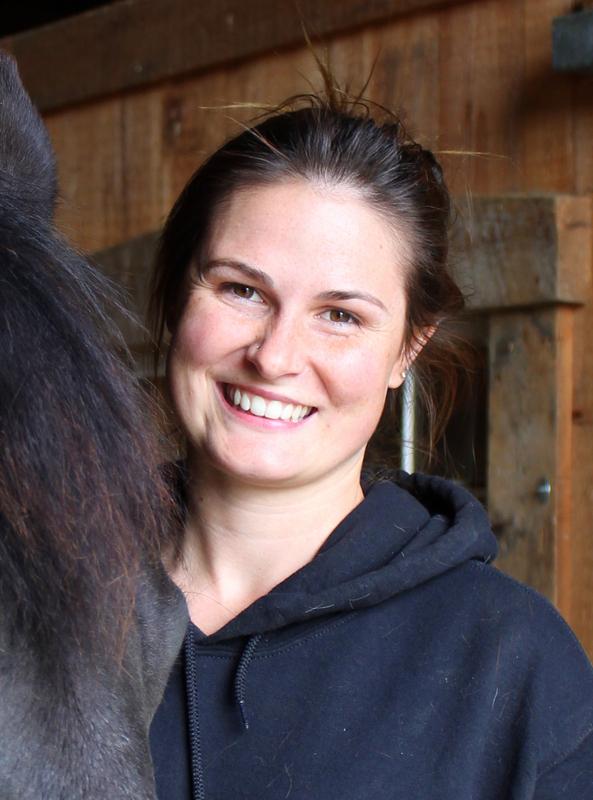 She is a licensed physical therapist in four states, including Maine, and is a Hippotherapy Clinical Specialist credentialed by American Hippotherapy Certification Board. Janet is actively pursuing becoming a USEF National Classifier in Para-Dressage. She has over 25 years of experience in primarily pediatrics in a variety of settings, including 10 years at National Center for Equine Facilitated Therapy located in Woodside, California. In addition, she is trained in Pediatric and Baby NDT (Neurodevelopmental Treatment) and Craniosacral Therapy Level I and II. She is a student of yoga, has taken many yoga training courses, and incorporates yoga into her practice as a physical therapist as well as her personal life. Janet is an active dressage rider and has had instruction in western, English, and dressage riding. Rebecca Henry is a Certified Therapist through the American Hippotherapy Certification Board and practices occupational therapy at Carlisle Academy using hippotherapy as a treatment strategy; as well as at Southern Maine Health Care in both inpatient and outpatient. Rebecca is also Adjunct Faculty at the University of New England teaching an undergraduate course, developed by Carlisle Academy and offered within the Department of Occupational Therapy & Wellness Program, entitled Introduction to Equine-Facilitated Therapy & Wellness. Rebecca completed most of her undergraduate coursework at Worcester State College and transferred to The University of New England for her graduate degree. While at UNE she both competed on the Cross Country Team as well as filled the role of assistant coach for Cross Country. She was also a member of UNESOTA and attended the AOTA Conference with several of her classmates. Rebecca graduated with her Masters in the spring of 2005. As a licensed Occupational Therapist for over 12 years, Rebecca has experience working with children and adults with physical, developmental and mental health disabilities within acute care hospitals, a school for children with Autism, skilled nursing facilities, and a private clinic focused on Sensory Integration. Rebecca’s passion to help others and a long time love of horses fuel her work at Carlisle Academy. Kate Goldwyn has been a professional riding instructor, trainer and horsewoman for more than 20 years. She founded and developed her own farm, Strawberry Fields, where she taught hunter seat, jumping, basic dressage, recreational riding, and Centered Riding® to riders of all ages and abilities from age 4 to 79, beginners, pleasure riders and competitive show riders. Kate initiated the SUNY Cortland Equestrian Club and has also taught special needs children and adults. 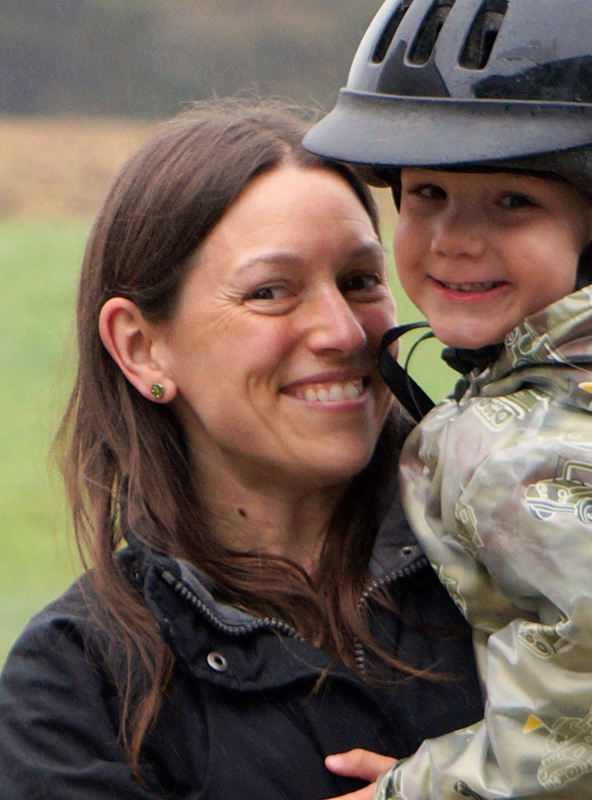 Kate Goldwyn is certified as a Centered Riding® Instructor, and was also certified as a CHA Instructor in 2003. She keeps up to date on current developments in horsemanship, teaching and safety through continuing education, lessons and clinics. Kate competed from childhood in local to national level horse shows. Coached by Gary Duffy, she competed in Equitation and Junior Working Hunters, from Wellington, FL to Saratoga, NY, including the Washington International Horse Show, Pennsylvania National Horse Show and the Devon Horse Show. She has extensive experience coaching and preparing horses and riders for hunters, pony hunters, equitation, junior and adult amateur classes. It is Kate’s belief that while competition can offer fun and achievement for many riders, good horsemanship, sportsmanship and the love of the horse must always come first. As a teacher, Kate believes in safe, positive and courteous instruction, tailored to each student’s individual level, pace and style of learning. Most of all, she believes learning to ride should be fun for the rider and good for the horse! Her experience as a rider and trainer gives her first-hand knowledge of how to help students work with their horses; her teaching style is patient, helpful and clear. Kate’s experience in Centered Riding allows her to help students use their bodies and their minds effectively to ride well. Kate loves working with people of all ages, abilities and riding interests, from little kids and adult novices to serious competition riders. A lifelong equestrian, Cynthia studied hunt seat from age 6 -17 with James Kennedy in Saddle River, NJ and went on to Mount Holyoke College where she rode under the tutelage of John Moffatt, a student of the Spanish Riding School in Vienna. Cynthia joined Carlisle as an exercise rider and horse handler. Cynthia attained her CHA Level 1 riding instructor certification in 2011 and assists in Carlisle’s recreational riding program. Cynthia is also a board member of the Carlisle Charitable Foundation, which raises scholarship funds for students of Carlisle Academy’s Therapy & Adaptive Riding Program. Trish, a lifelong rider and horse owner, is a 1994 graduate of the University of New Hampshire with a degree in Equine Science. After pursuing careers in non-therapeutic equine settings, Trish became a horse handler at Carlisle Academy in 2008. 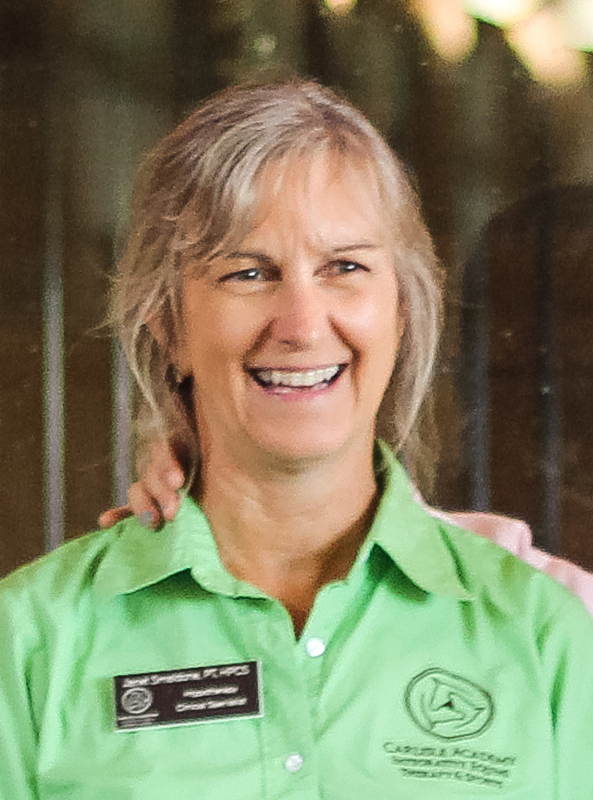 She currently assists new horse handlers in training, manages the equine conditioning program, and is the Assistant Center Administrator for Carlisle’s Pony Club Riding Center program. Matt grew up around horses on his family’s farm in Maryland. He returned from a career in the military suffering from PTSD. He participated in several of the driving clinics at Carlisle Academy but was looking for more frequent contact with horses and the farm. CCF was able to provide an internship scholarship for Matt last summer. He gained useful knowledge and grew spiritually, mentally, and physically, and is now helping Carlisle Academy develop a Farmscape curriculum based on his internship. He is also now the official Veterans & Military Liaison for Carlisle Academy, doing outreach with active duty military, as well as with the Maine and New Hampshire veterans community. Sarah grew up working with Percherons on her family’s farm in Maine. She is an experienced horse woman with miles of driving singles and teams. Sarah completed the stable management course at Carlisle Academy in the Fall of 2016, after which time she joined the staff as a Horse Handler. Sarah continues to advance her riding skills in dressage, enjoys all aspects of horse management at Carlisle, and hopes to own her own draft horse farm in the future. Debbie started riding at age 4 at Riverhurst Farm in Kennebunk Maine. At age 10 she started riding with David Boley in Dover, NH where she competed on the “A” Circuit, travelling from Montreal to West Palm Beach each year. At the age of 14, she qualified for both the AHSA (now the USEF) Hunter Seat Equitation Medal Finals, and the ASPCA Maclay Finals. She began teaching lessons to the youngest students at the age of 16 and was also a volunteer for the NH Special Olympics Equestrian Team as a Jr. Coach. During college, Debbie moved to New Jersey to ride and train with David Boley again at the Overpeck Equestrian Center. While at Overpeck, she helped to manage a farm of 75 horses including 35 lesson horses and 40 boarders as well as helping to organize and teach at the summer camp of 40 students per week for three summers. She was also a Co-instructor for the Columbia Equestrian Team located in New York City. Debbie is currently a Nurse Practitioner, recently graduating from school. She is eager to get back into the horse world and is excited work with a strong team to promote the best of horsemanship. Diana Gallant is a learning and performance development consultant with over 20 years’ experience analyzing workplace performance issues and developing solutions aligned with strategic business goals. She has broad industry experience across financial, automotive, transportation, healthcare, telecommunications, sales, customer service, engineering, government, higher education and non-profit organizations. A life-long horsewoman, Diana recognizes the benefits horses bring to teams and leaders in the workplace as safe, entertaining, and nonjudgmental “simulators” of common group dynamics. Her unique combination of professional and equine experience forms the basis of her team building and leadership programs. Diana earned a B.S. in Rehabilitation from the University of Maine at Farmington and an M.A. in Educational Technology from the University of Northern Colorado. She is also a certified facilitator of equine experiential education programs designed specifically for team and leader development in the workplace. Deb is a guest instructor focused on teaching able-bodied and para-dressage riders during her monthly visits to Carlisle Academy. 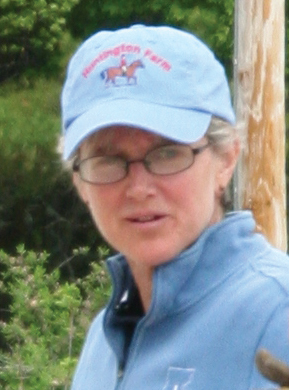 Deb has been the trainer at Huntington Farm in Vermont since 1994. She is a USDF Bronze, Silver, and Gold medalist who has received many top placings and high score awards in USDF shows on various horses. Deb has trained many horses from youngsters through to the FEI levels. A former high level event rider, Deborah teaches many event and dressage students throughout the New England area. Scott Monroe, National Combined Driving Single Horse Champion in 2005, 2006 and 2011, has represented the United States three times internationally at the USET level as well as once for Canada as a navigator. He has been honored with USEF Horse of the Year twice as well as Reserve HOTY twice and Morgan Horse of the Year with Shadow, a stunning black Morgan. Scott has more than 25 years of driving and training experience and uses many methods of Natural Horsemanship. He is an ADS “R” Combined Driving Judge, ADS “r” Technical Delegate, USEF ”r” Combined Driving Judge, USEF “r” Technical Delegate and a PATH Level 2 Therapeutic Driving Instructor. As a PATH Instructor he enjoys working with para-drivers and has a special connection with Veterans as he is a United States Marine Corps Veteran. Scott offers private lessons and clinics nationwide. Richard Watson is one of the industry’s most well-regarded horse professionals. For the past 60 years, Richard has ridden and trained cutting horses, polo ponies, eventers, and now Grand Prix Jumpers. Richard lives in Alachua, Florida and travels all over the country giving clinics and lessons from walk/trot to grand prix jumping. Several of his students at the Grand Prix level have competed against the best in the business and consistently finish in the top 10. Richard specializes in helping riders at all levels develop greater feel and believes this is at the heart of promoting good horsemanship, whatever the discipline. Among Richard’s achievements is the creation of a horse bit that promises control with a lighter touch. Now owned by the Mikmar Bit Company, it can be found today in many tack shops and catalogues listed as the “Watson Snaffle”. Michel is a graduate of the French National Equestrian School, home of the Cadre Noir in Saumur and gained a vast international experience in the USA, France, Germany and the United Kingdom as an international dressage rider and trainer. Michel was long-listed to represent France at the Seoul Olympics and won the French National Championships in 2000. He has also scored numerous successes at International and National level. 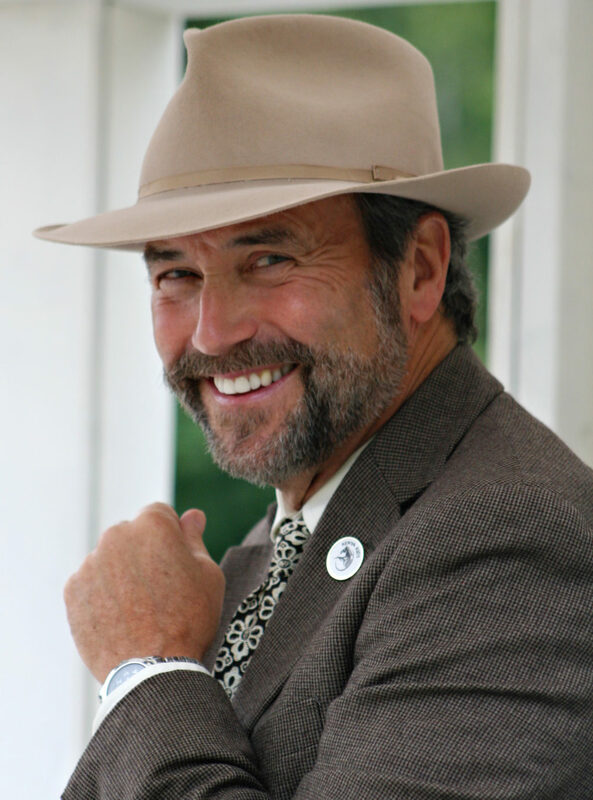 Michel was voted in 1995 UK Dressage Trainer of the Year, and is a member of the International Dressage Trainers Club. He is also currently on the British Dressage panel of trainers eligible to judge Potential International Dressage Horse classes and officiated several times at the Championships for four, five and six-year-old horse. In 2005 Michel became the British Para-Equestrian Dressage Team Coach and has led Team GBR riders to win Team Gold medals at the 2005 European Championships, the 2007 World Championships, the 2008 Beijing Paralympic Games, the 2009 European Championships, the 2010 FEI World Equestrian Games, the 2011 FEI Europeans, the 2012 London Paralympic Games, the 2013 FEI Europeans, the 2014 FEI World Equestrian Games, the 2015 FEI Europeans and the 2016 Rio Paralympic Games! At the Rio Games his athletes came back with a total of four silver and seven gold medals, medaling in all their classes contested! In November 2012 Michel was awarded the UK Sports Coach Medal and inducted in the Coaching Hall of Fame at the UK Coaching Awards ceremony. Later that year at the London Olympia International he received the prestigious British Equestrian Federation Medal of Honor. At the 2016 UK Coaching awards Michel Assouline along with Carl Hester, Angela Weiss, Lisa Hopkins and Helen Burt were awarded the Mussabini Medal – a sports award recognizing Coaches of British sports people and teams, and were inducted in the UK Coaching Hall of Fame. Michel recently successfully completed the inaugural intake of UK Sport’s Elite Coaching Program.